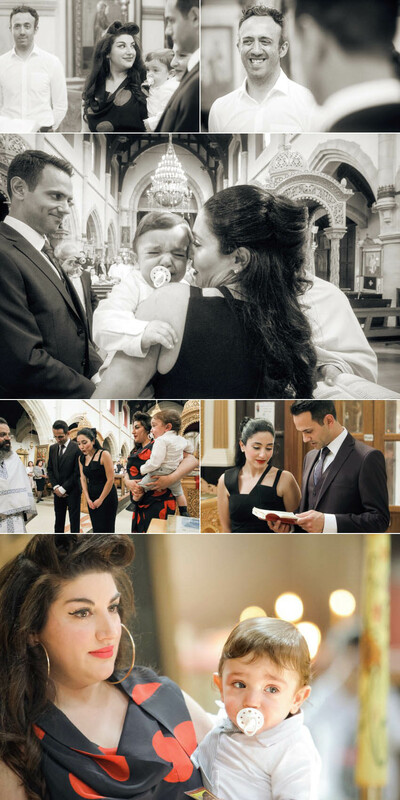 It was a lovely sunny day as baby Bobby’s family and friends gathered to celebrate his orthodox Christening at St Demetrios Greek Orthodox Church. 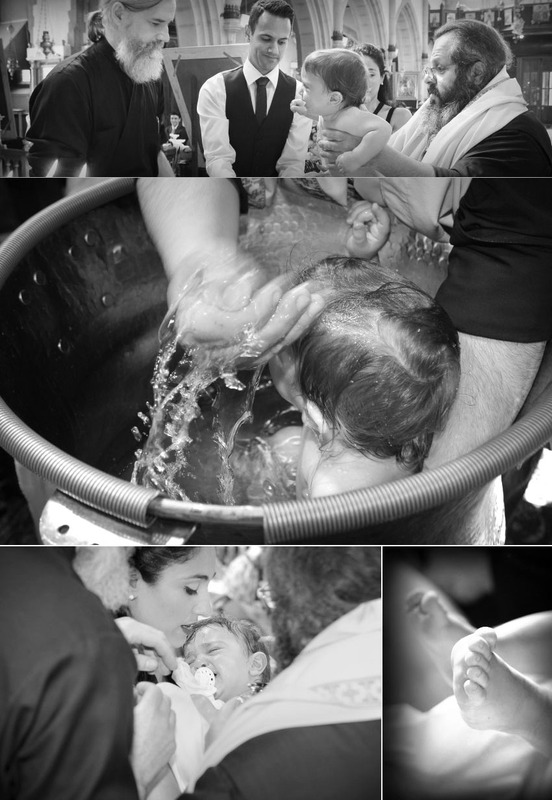 Family and religion are important so, whether small or large, an Orthodox Baptism is always a cause for joy. For those of you who are not familiar with Greek Orthodox Baptism customs, they are more than merely symbolic. Instead, they are a tie to the past and the future, giving a timeless permanence to a ritual that is almost as old as the Church itself. Bobby’s baptism was, no doubt, very similar to that of his parents and grandparents, and will likely be the same as for his children and grandchildren. Even as a professional orthodox christening photographer, it is a connection I never tire of seeing. As his parents and Godparents met with the lovely priest Father Evangelos, I was able to get some touching photos of Bobby with his grandparents, as well as of the large congregation of family and friends as they arrived at the church. It was evident to me from the number of people there and the genuine regard they have for each other that Bobby will never be short of love and support during his lifetime. As with Greek Orthodox weddings, the number three features heavily in an Orthodox baptism. Bobby was immersed three times in the font, three locks of hair were cut from his head, and he was taken around the baptismal font three times by his Godparents and children from the family, all of whom carried out their responsibilities very seriously, as you can see from the photos. The beauty of the interior of St Demetrios Greek Orthodox Church made it a stunning backdrop for the ceremony. The intricately carved screen, colourful icons and gold decoration made Bobby stand out even more in his Christening outfit, which was white to symbolise the purity of his soul. He was not always happy with what was going on around him, but I never hide tears in any wedding or christening photography as I think they add to the integrity of the photos, showing the emotion and events as they happened. Bobby soon cheered up once he was back with his doting parents or, more accurately, with his favourite Kermit the Frog toy which he was unwilling to give up and so which featured prominently in the family photos! The event was a real family affair with at least three generations present to officially welcome Bobby into the church. After the ceremony finished, Bobby left with his family to celebrate the momentous occasion with a special meal. While I am sure he may not remember any of this particular day, I hope that when he looks at the photos as he gets older that he will recognise the beauty of the ceremony and the love his family has for him. If not, I am sure that Kermit will let him know!